Publishing a Christmas gift guide has been a Trip Styler tradition since 2009. I look forward to it all year, and like Santa's head elf, I test and tinker with the finds leading up to the BIG DAY. A lot of doodads dance across my desk, but here's the distilled list of 2012's most fabulous travel trinkets. Trip Styler Tip :: We're dishing out cool Christmas finds all month long. Look out for a KinderHop list and Travel Beauty picks! Still stuck for ideas? 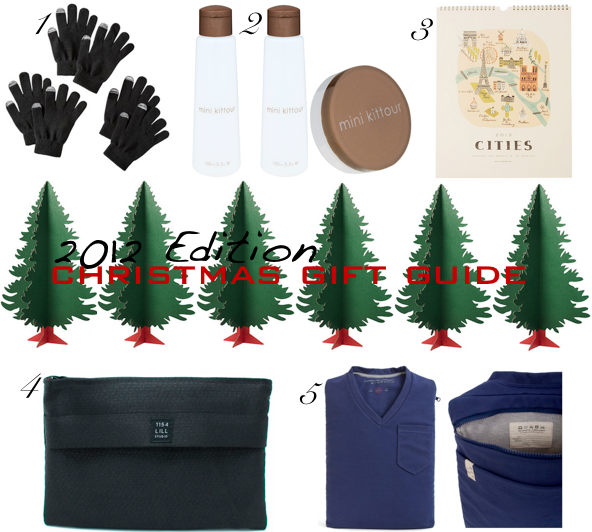 Check out our past Christmas gift guides: 2010 & 2011!